Did you do anything to your car before this issue happened or did it start out of nowhere? hi, anyone knowif the front Strut BAR from S13 240sx SR20, fit in a 180SX s13?? I was wondering that if I'm looking for 450-500hp is it necessary to upgrade stock cams? If so, I most likely will need adjustable cam gears, and since notchtop has VTC/VVT/whatever, if I buy Tomei gears, do I have to delete the solenoid? Or should I just buy one gear? 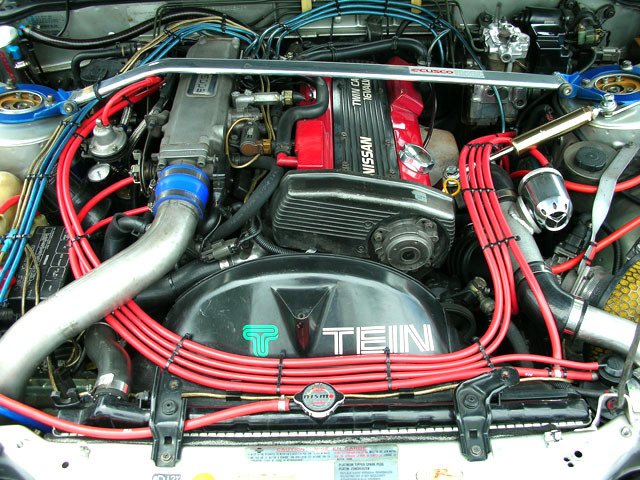 Tomei has cams that are compatible with VTC. 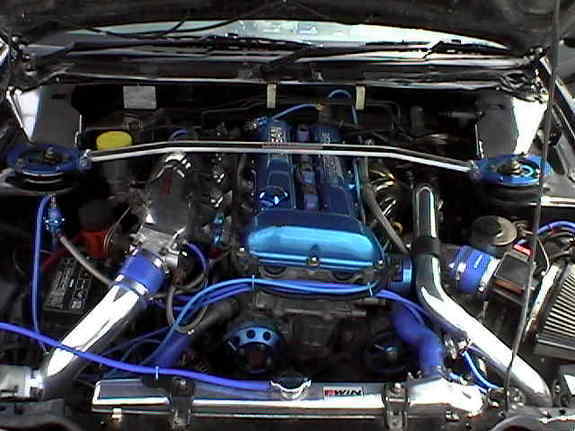 so, if im buy a "sr20" strut, dont fit with CA18 because hit the intake right? Im asking because i have a CA18det S13, and only get Carbon fiber cusco for Sr20. honestly not 100% sure on that... ive only ever owned SRs sooooo you may just wanna find an CA based strut bar given youve got a 200sx. they can be found on Yahoo Auctions Japan fairly often and readily cheap! Hey guys, new comer to the forums. Ive got a 95 s14 with s13 redtop sr20 swap. Its been sitting for a while now and the wire harness has to be replaced. I have seen some wire harness online but out of stock till late August. Does anybody know anyone who has an extra one lying around or any place where I can purchase one where it wont take over a month to receive. Is that normal? A month? make a WTB thread. I also checked ebay and saw a bunch. anyone using the Mishimoto universal Coolant Reservoir(the cylinder)? or the Mishimoto Power Steering Reservoir? looking to clean up the engine bay and want to know what the quality/reliability on them are like. can't find any detailed user reviews on them for any car. Last edited by 240KA; 07-13-2018 at 09:18 PM..
Today I learned that one of my drain tubes in my S14 is completely severed in the A-pillar and water naturally drips onto the passenger side door car. With that being said, does anyone know if it is possible to replace it? Edit: Found another leak at the bottom rear corner of my quarter glass when looking from the inside, it is a small one but it builds up. Would using a heatgun to heat up the adhesive and have someone press down on the top of the glass potentially help reseal the glass? Last edited by DJTTon; 07-16-2018 at 05:32 PM..
Canned air, like you use for the computer, can be used to push obstruction through the tubes and clear them out. They can be replaced, but it is not easy. Your thoughts on quarter window fix are ok. It may or may not work, in which case, have a spare handy, becuase a shop won't guarantee getting it out in one piece to reset. So the passenger side hood hing broke today (rush POS; only a matter of time I guess). I'm looking to replace it, but I'm not sure what part number refers to what. Nissanparts.cc describes them as left/right, but from what perspective? I'm assuming, from the perspective as I'm sitting in the car, but I just wanted to be sure. for reference of what i'm looking at. Yeah, sitting in the car. In theory the butyl should heat up and loosen up, hopefully when it rehardens it should create a slightly better seal. After taking off my headliner, I come to find out that all 4 drain tubes stick out from underneath the headliner (no surprise! ), but I am still bummed that one A-pillar tube is just chewed through. Any chance anyone knows if the coverlay dark blue matches the factory 240 blue interiors? They sent me some swatches which I am still waiting for. Just wondering if anyone had any personal experience. Has anyone purchased new S14 Greddy LS FMIC intercooler couplers separate from an intercooler kit? Id like to know what size couplers I should be ordering without having to take all of mine off and measuring. Id like to do the job 1 time and not have any down time with the car. I read 2-3/4 is what is on either end of the intercooler, but would rather someone who has done already advise me. Id like to replace every coupler hot and cold side. Hope to hear back from some of you! You can measure the circumference of the pipes and divide by pi. Thanks dawg , maths not really my thing but I can grasp..
Brah, you think he can math enough to do that? Remember where you are! Can anyone confirm that brown interior coupes came with a brown trunk? Or did they use the grey trunk material? Anyone know what kind of adhesive I can use to glue the hood frame back onto the hood? The frame has detached in a few areas on mine. You can use almost any urethane or silicone sealer, that is paintable.